Pressure-cooker is such an amazing tool in the kitchen. Right selection and right procedure of cooking will serve its durability and efficiency thereby keeping it in good condition. Moreover, they not only are safer but also bring out some seriously hot and tasty food on your platter. The bottom reason of choosing pressure cooker over other electric devices or ovens is that pressure cooker can get to high temperatures without drying out your food. The below given points will give you a better idea as what to look for and look out for when you shop for a pressure cooker. When you have made an ideal plan to choose stove-top pressure cooker over electric cooker with thick and heavy heat coating at the bottom and straight sides to ensure that there is no prolonged heating and interior scorching. A wider and more flat pot is better than a tall one as it is ideally suitable for easy and fast cooking. Also adding up to this, a wider cooking base allows you to cook on a large burner. It can also handle recipes that need browning before adding liquid and sealing the cooker. Choose a cooker that has an easy-to-see indicator that it is at pressure, as opposed to one that requires you to be close to look down into a hole to see whether it has reached its pressure point. Also, choose a cooker that prevents evaporation during cooking and minimizes steam loss. This is a way to ensure that your food won’t burn inside the cooker. 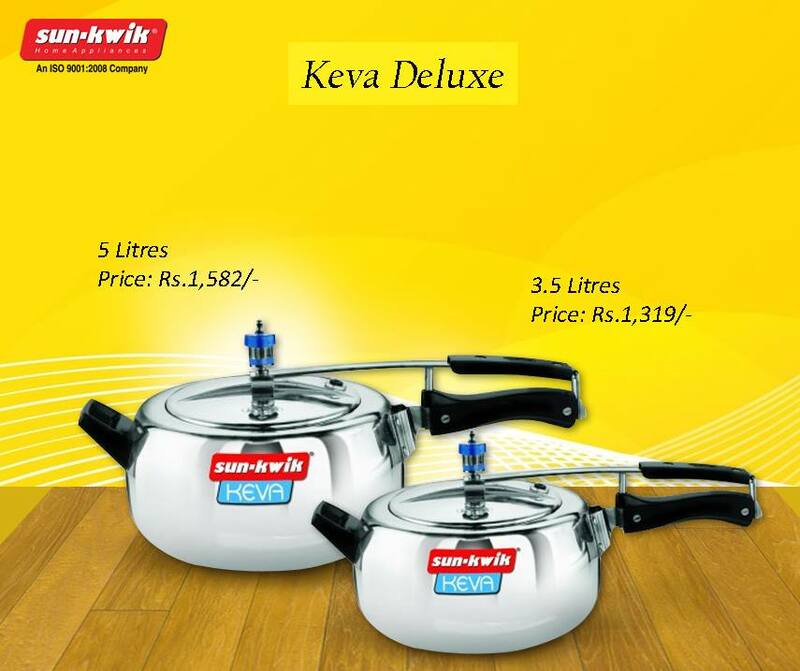 Moreover, keep in mind the above-mentioned points while picking over the authorised pressure cooker manufacturers in Kolkata. Ultimately, it is in your hands to probe and shop for a good ones as all pressure cookers are not designed the same way. However, try picking up the ideal pressure cooker that makes cooking fast and serves in good condition for the long haul. Pressure cookers are the essential part of any modern kitchen. They can make your cooking experience faster and better. Take a look of the blog to know more. Pressure cookers the best things that a modern kitchen can have. It is extremely helpful for you when you are running around to keep up with your fast life. When you have a plateful of jobs to handle, cooking takes the backseat in the list of your priorities. But you cannot and you should not compromise with your nutrition. That is when a pressure cooker comes to your rescue. 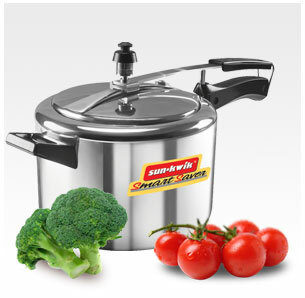 Pressure cookers are capable to offer you some other benefits too apart from fast cooking. 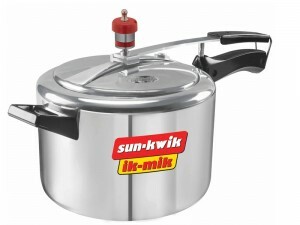 When you are buying pressure cooker and accessories in India you must be thinking if you are investing in the right thing or not. Take a look of the following benefits and you will know that the decision of buying is a wise one. When you are cooking in a pressure cooker it retains most of the nutrients it has. While cooking in a stove top open pot often the nutrients get evaporated with the steam. But cooker is an enclosed place where the whole cooking process takes place. As a result most of the nutrients remain trapped in the food itself. The food becomes tastier and retains all the nutrients. Pressure cooker is mostly known for the capacity to cook fast. As cooking goes on in the closed pot the heat remain trapped inside. It urges the food to be cooked faster. As a result the cooking takes a really short time and a low quantity are required for cooking. As the heat remained enclosed inside the pot it lets the kitchen remain cool. Unlike open pot cooking there is less chances of spilling on the kitchen counter top. Cooking in pressure cooker also ensures that you spend less time for cleaning. Think about these benefits and bring a cooker with pressure cooker accessories to make a better living. Today, induction pressure cookers have replaced conventional cookers because of its heat generating capacity and its ability to cook fast. In an induction cooker, the vessel itself acts as a heat-generating device whereas in a conventional cooker heat is transferred from Coils, Hot plates and Halogen heaters to vessels through physical contact. Due to this reason most of the heat and energy are lost. The induction cooker consists of an electromagnetic coil, which generates high frequency electromagnetic heat that passes through the pot to generate heat due to Eddy current and Magnetic Hysteresis. Eddy current is the current generated due to change in the magnetic field and Magnetic Hysteresis is the resistance of magnetic materials due to change in magnetization. Induction pressure cookers are highly energy efficient, as it transfers 90% of heat to the pot (compared to a conventional electric burner that only transfers 47%). Thus, it acts as an energy saving device. As heat will not be generated in the cooker beyond a certain limit, one can remove the cooking vessel with even bare hands. Moreover, it is not necessary to pre-heat the cooker as an induction base already generates heat and thus it takes only few minutes for the onions and cloves to get charred. The Cooking process is faster in an induction pressure cooker than a conventional one as the former traps equitable amount of pressure inside the vessel in less venting time. Although induction cookers are considered as heat generating device, it can be used for a longer time. Cannot be used in a conventional gas burner as an induction – base pressure cookers are exclusively designed for Induction based cooking. Only people with an induction stove can use this vessel. Therefore, it is time to pair up your pressure cooker with an induction burner so that you can turn your household into an energy– saving super mode.